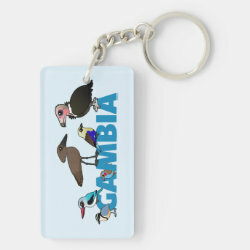 The Gambia is a small West Africa country, completely surrounded by Senegal and running along the Gambia River. 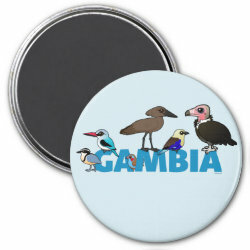 The birdlist of the Gambia has at least 576 species of bird, none of which are endemic. 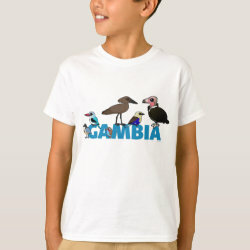 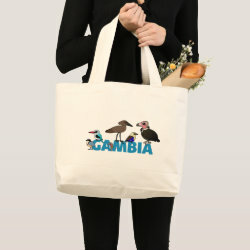 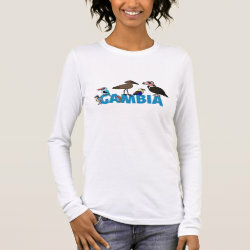 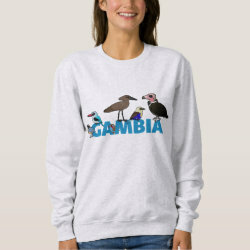 This more... cute Gambian bird design features six target birds that birdwatchers like to find when they visit the Gambia. 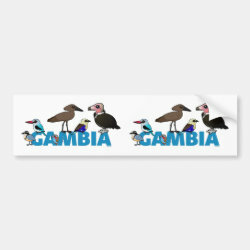 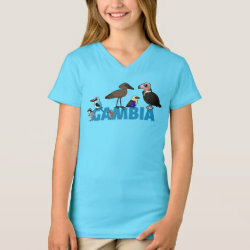 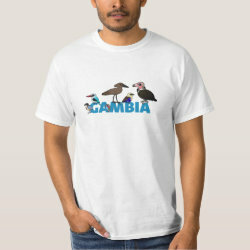 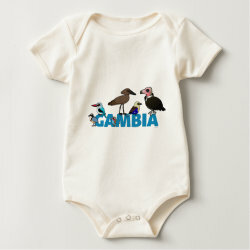 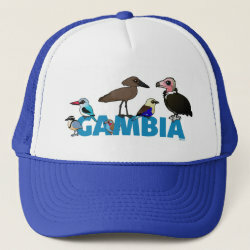 This design features our cute cartoon version of these six special Gambian birds along with the country name in bold blue text. 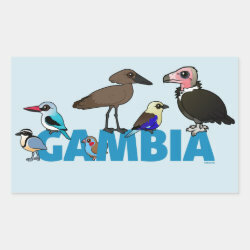 The birds are: Egyptian Plover; Woodland Kingfisher; Red-cheeked Cordonbleu; Hamerkop; Blue-bellied Roller; and Hooded Vulture. 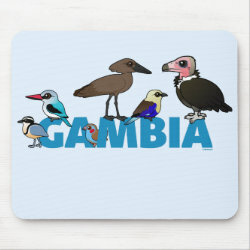 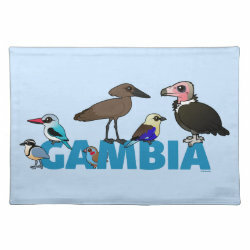 The Birdorable Gambia Placemat 20" x 14"